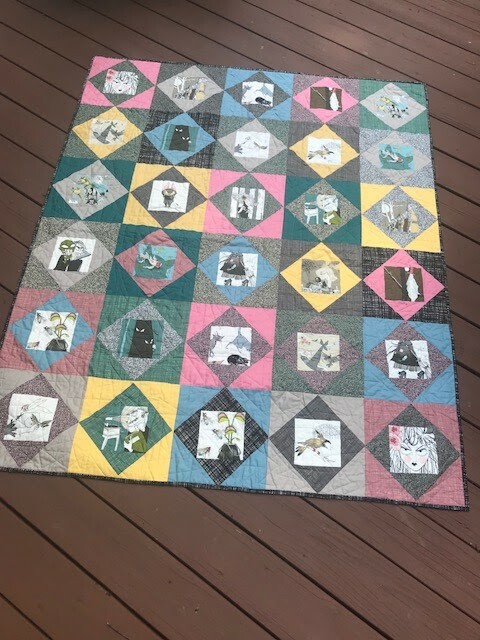 I have made 3 new Halloween quilts this year! looking good in a quilts, rather than sitting on a shelf! I used the these first 4 lines of Ghastlies fabric. with a couple X blocks revised to my liking. I have had in my stash for several years. Stash pink and gray prints / most of them Ghastlie prints. Green border is KONA and I bought it. 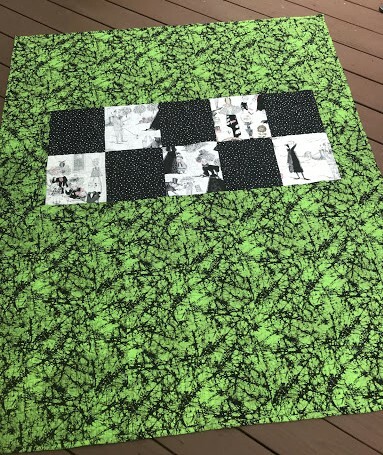 Fun piano key FMQ on the black and green borders. and made this insert for the backing. The quilt finished at . 2017 Ghastlies Moments panel cutting 5 1/2" squares! Added lots of stash solids and Ghastlie prints. Mathilde Ghastlie is just awesome! 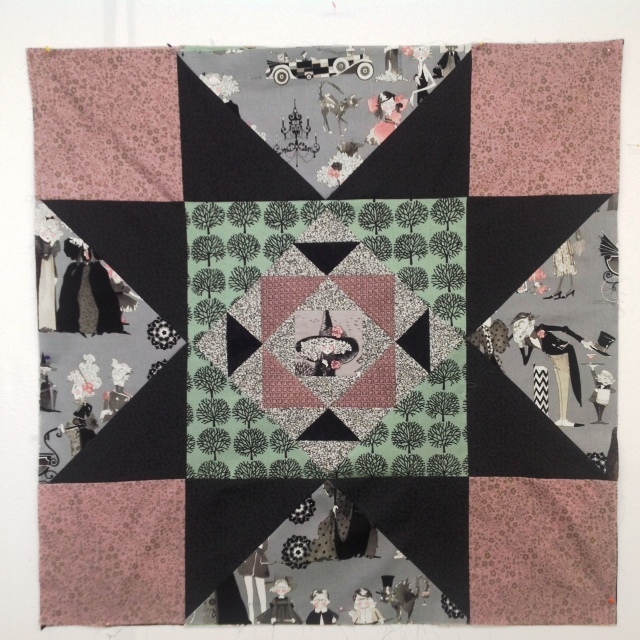 A fun sharp-angled FMQ quilt design on this one! that I had hoarded for a long time. added a pop of color. Michelle Mayton in Mansfield Ohio. 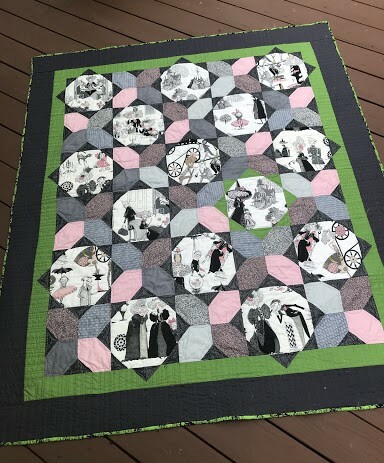 and I am lucky to have her quilt this one for me. 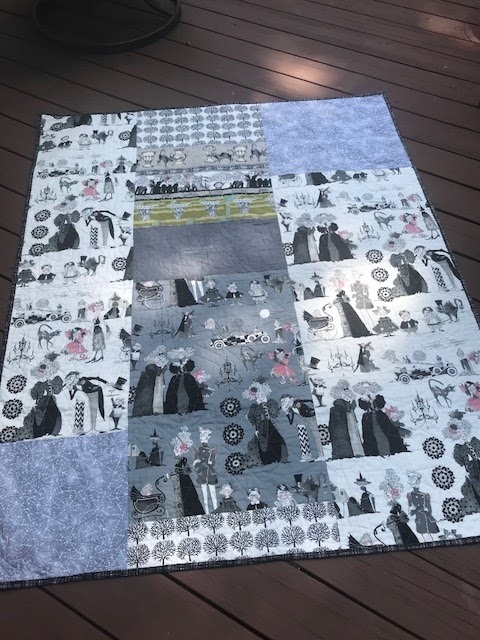 I will have a full post on this quilt once it is completed. but for now..a sneak peek! GO ON and CUT THE DAMN FABRIC! Use it...you will be glad you did! 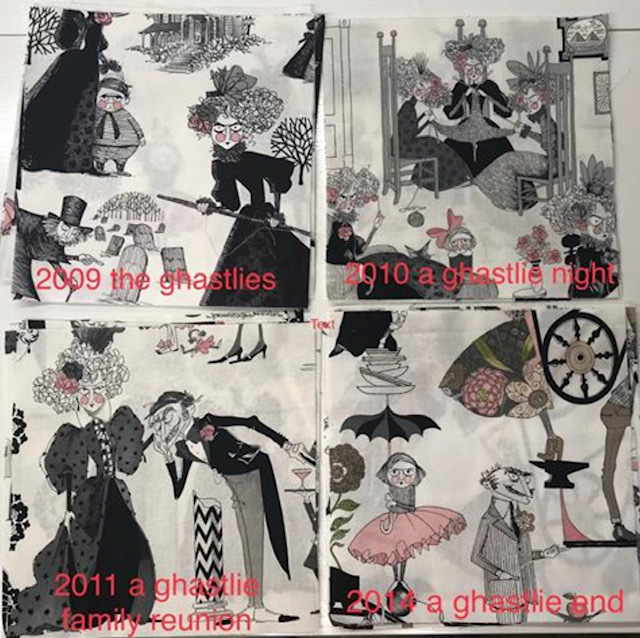 Tell me, what is your favorite Halloween fabric? that I thought would work for my version of the quilt. Check out how stinkin cute these blocks are! Finally, enough blocks to get started on the design wall. THIS is NOT the final design...just playin around. I have an idea for a staggered layout ! 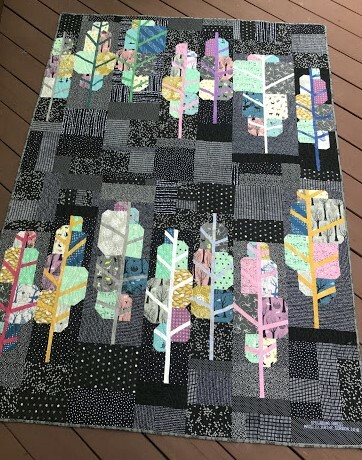 and a look at her finished quilt. The blocks can be made in two sizes. 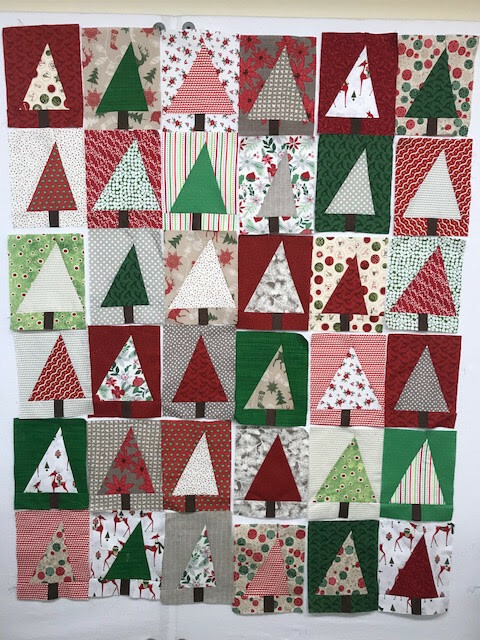 Modern Christmas Tree Blocks quilt! 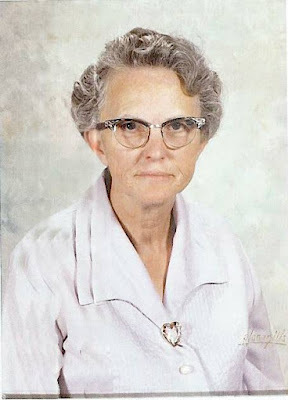 Today my Mom would have been 104 years old. She's been gone 12 years, but it seems like yesterday. Cora loved to hand piece, making only utilitarian scrap quilts. to spend that day as they wanted.